More than 225 poker tables are running and doing business in Pennsylvania. And according to the reports, a combined $5.05 million has been collected by all 225 poker tables in the state of Pennsylvania. This is the figures that have been released by officials of the state recently. Last year in April, the poker rooms collected $5.01 million. The year-over-year gain was approximately one percent. In the first four months, the poker rooms have collected the amount of $20.38 million, which is 1.4 percent more in comparison to last year the same period. The revenue of poker has grown in every year of this year, except the month of February, which is an exception. Talking about the yearly revenue, then in the year 2016, poker rooms collected the total amount of $58.6 million. It was nearly $1 million more than what was generated in the year 2015. 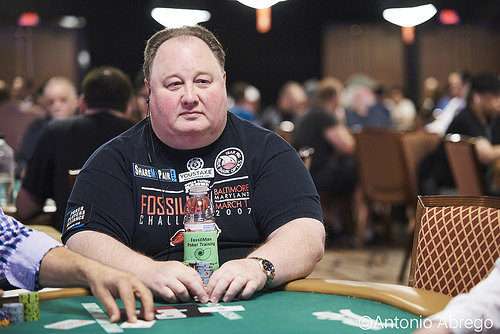 Greg Raymer was the last former champion to be left in the 2016 WSOP main event and he was not impressed that no other former champions were there to play against him during the last few stages of the main event. He won the World Series of Poker event in 2004 and has last cash earning at the WSOP main event was in 2005. He had to wait 11 long years to win a cash prize for this prestigious event. Raymer recalls the 2015 WSOP main event where he missed getting to the final table after a brutal hand against Aaron Kanter. He said that he was reading a media report about that big fight during the 2016 event and remembers how both of them were fighting to enter the final table as the last champ.